OPEN HOUSE SUN 8/27, 1PM-3PM! Natural light fills every corner of this 3 bed/2 full bath South City ranch offering open-concept living & tons of peace-of-mind updates! Gleaming hardwood floors greet you & flow throughout the home’s main level. The clean & crisp kitchen features a new stainless gas range, refrigerator & more, and opens to the dining & living rooms. Just off the kitchen is the level, fenced back yard & covered patio, perfect for summer time grilling. Back inside, 3 generous bedrooms w/ sizable closet space are conveniently located to the updated full bath. The finished lower level offers options galore- family room, game room, movie room- while a second full bathroom adds to the ease of living. A laundry & storage room complete the LL. 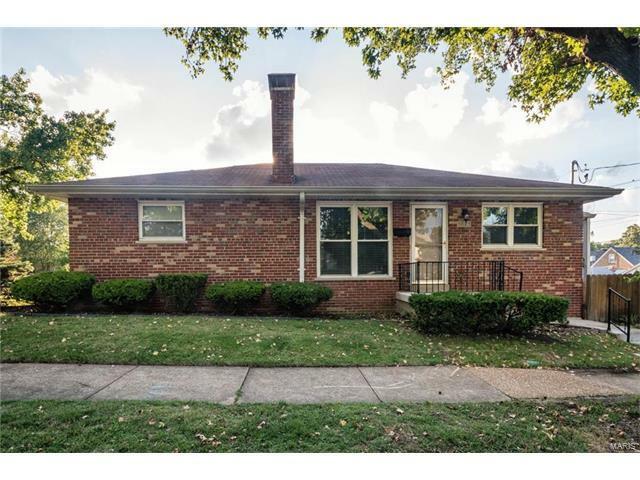 Other highlights: new water heater, electrical panel and plumbing, newer furnace & A/C, vinyl windows & more, plus a corner lot with a desirable location minutes from Tilles Park, shopping, dining & more! Buyer Home Warranty included! Hampton Avenue to east on Pernod Ave. Turn right onto January Avenue, and the home is on the right.